The 64-year-old developed the 3.6-litre V8 turbo for the original R8R prototype that became Audi's first purpose-designed race engine since the Auto Union days of the 1930s. He then added direct injection in 2001 that improved power, driveability and fuel economy, then pushed for the introduction of diesel power. That proved an instant hit in '06, winning on its debut in the Sebring 12 Hours and finishing on the podium at Le Mans every year until Audi's swansong 10 years later. Yet that was never part of Baretzky's plan. "I never wanted to become an engineer. Seriously, I wanted to be an architect," he says. "Everything was planned [to study it] and then I don't know how, I found out that being an architect, I would be forced to build houses I wouldn't like. "I was never enthusiastic about racing as such - I enjoyed it, but I can live without it." It was only after completing a mechanical engineering course at the University of Munich - "OK, I wasn't going to be an architect, but I wanted to design something" - that Baretzky, whose father owned a bodywork shop, stumbled onto the path his life would take. 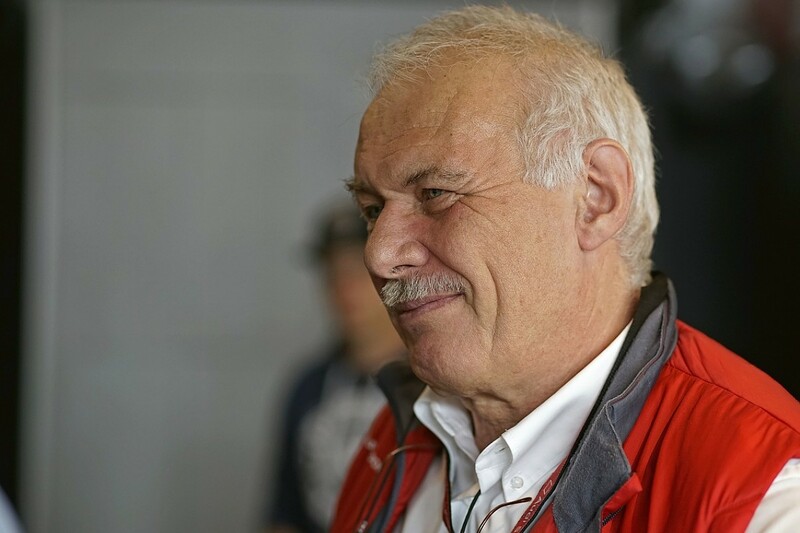 Invited to an interview at BMW Motorsport in 1982, he presented plans for an engine he had designed while at university and was hired on the spot by legendary engineer Paul Rosche. 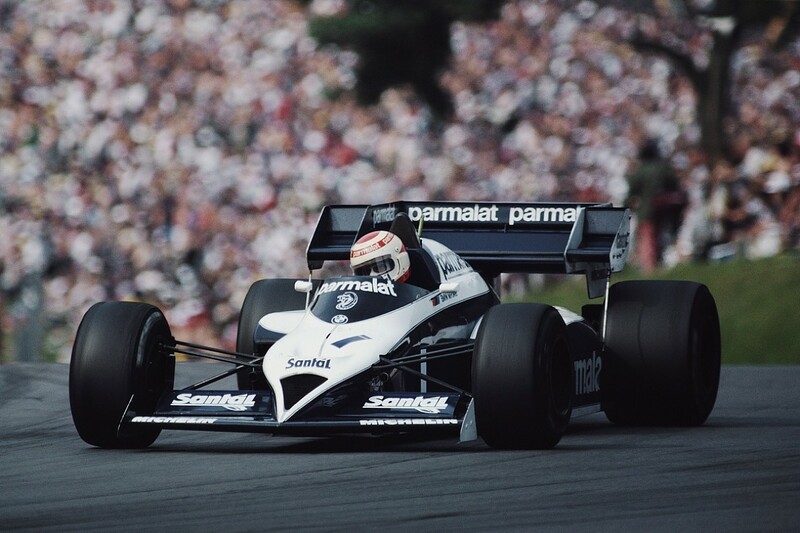 After nine months spent working on high-performance engines for BMW's road division, Baretzky was moved across to BMW's motorsport arm for '83 to assist development of the M12 turbo in the back of Gordon Murray's Brabham BT52 - which, in the hands of Nelson Piquet, became the first turbocharged Formula 1 car to win the title. "I was responsible for the exhaust, turbocharger, wastegate and all kinds of stuff like that," he says. "There was one designer and I was the number two - you cannot imagine this today in Formula 1. It was crazy, you had to make the design - no CAD - all the drawing, calculations, even organise the purchasing of the parts, so you are working day and night. We became world champions and I got a bit of a taste for motorsport." 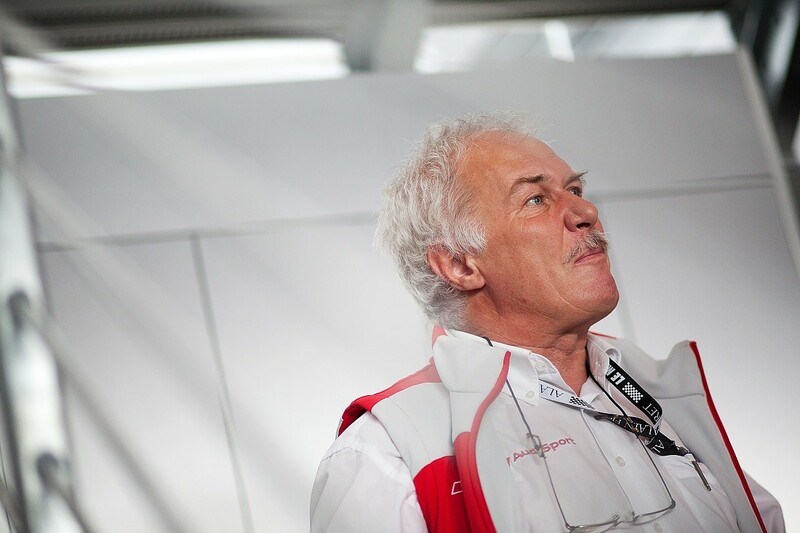 Baretzky was appointed project leader for 1984, but frequently butted heads with Rosche and departed for Audi as head of race engine design two years later. "We were a bit too similar on one hand, so we always argued with each other and I was always the loser because he was the big boss," reflects Baretzky of his relationship with Rosche. "Having won the world championship, he was a hero of course. I was just a young engineer, compared to him I was nothing." Having scaled back on its motorsport involvement after the collapse of Group B, things started slowly at Audi, but Baretzky found success in the US with the Bob Tullius Group 44-run Trans-Am project in 1988 and in IMSA a year later. Attentions then turned to the DTM and developing a production-based V8, the first normally aspirated engine he had ever worked on. "We had exactly six months until the first race, April 1 1990. I will never forget that," he says. "We started in November ['89]. It was a nightmare!" Driving the big V8 quattro, Hans Stuck won the championship at the first time of asking after the guesting Mercedes of Michael Schumacher tangled with BMW's championship leader Jonny Cecotto at the first corner of the Hockenheim season finale. It gave Baretzksy the satisfaction of beating his old employer on its home turf. But this was only the start of Audi's success in touring cars. 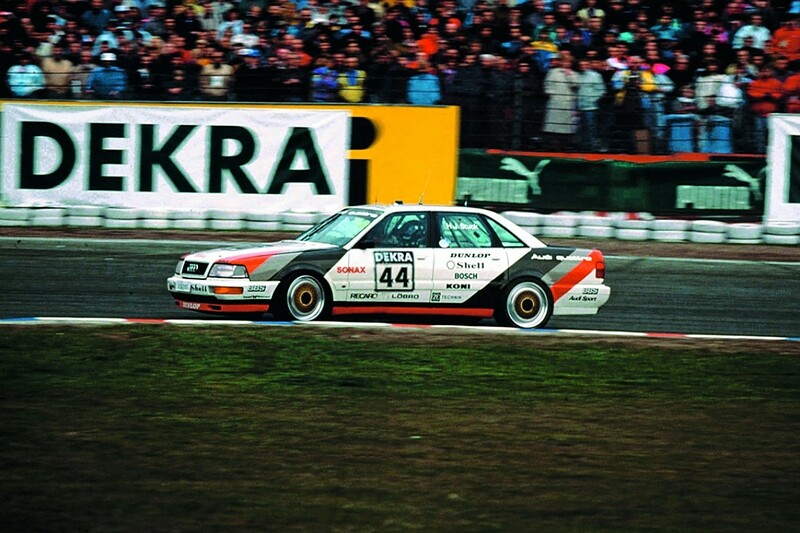 After Frank Biela made it back-to-back titles in 1991, Audi departed the DTM amid protests over the legality of its new crankshaft, but made an instant impression in the two-litre Super Touring category and won in French Supertourisme with Biela in '93. By '96, Audi had swept all seven series it entered, including the British championship, despite having to carry draconian weight penalties for much of the year. "I stopped designing because I was engaged in organisation and management - how to produce 300 engines in a year and to make sure there is an engine on every weekend wherever it is needed," says Baretzky, who was appointed to his current role in '93. "This [Super Touring] was a very good apprenticeship of organisational things, how to structure the department, the purchasing and all of this stuff. This we did until '97." Audi's next project was the big one. Baretzky and head of motorsport Wolfgang Ullrich were summoned by group CEO Franz-Josef Paefgen to the newly acquired ex-TOM'S base in Norfolk, where they were told that Audi was going endurance racing. "He said, 'I have a dream'," recalls Baretzky. "'I want to win Le Mans and you tell me what you need to win'. I was shocked, to be honest!" 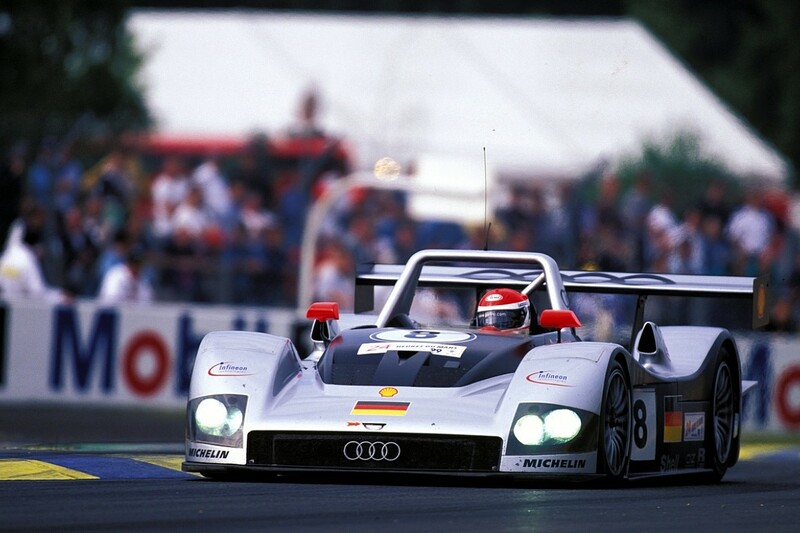 Paefgen was initially opposed to Baretzky's proposal for a 3.6-litre V8 but, despite concern over rising water pressure, the lead R8R finished third on its debut at Le Mans, the second car was 14 laps behind in fourth. Both cars had also made the finish on the R8R's competition debut at Sebring - the lead car again finishing third, albeit three laps behind the winning BMW - a fact that greatly pleased the engine man. "I was extremely proud of that," he says. "Before that, all race engines Audi had done were based on production engines, and it was a turbocharged one of course. "Paefgen said, 'I apologise for having pushed you for the normally aspirated engine, you were absolutely right'. From this moment on, I had the full support in any direction I wanted, and I needed it again when I went to the direct injection. I didn't know how to do it, but I just said, 'We have to do it', and we somehow made it work." By this time, Baretzky was managing an engine department of almost 40 people - up from 14 in 1993 - and had contributed to World Rally Championship programmes for VAG brands SEAT and Skoda, gradually building up his department to be ready for Audi's greatest challenge yet. "I managed it a little bit like my own business, selling engines, trying to help here and there," he says. "I was always trying to get capacity to do more and more. It was the preparation maybe for the diesel." TDI (turbocharged direct injection) technology had been used in Audi road cars since 1989, but never adopted for use in motorsport until Baretzky insisted, against the wishes of many on the board, that the greater fuel economy and massive torque produced by a diesel engine posed the best route for endurance racing. "If I have a plan and I am convinced about it, I fight for it, no matter what it takes," he says. "This is something maybe which made my career such as it is, not being afraid of a challenge. "We already had at that time half a dozen victories, but to win with a diesel would be something really special." 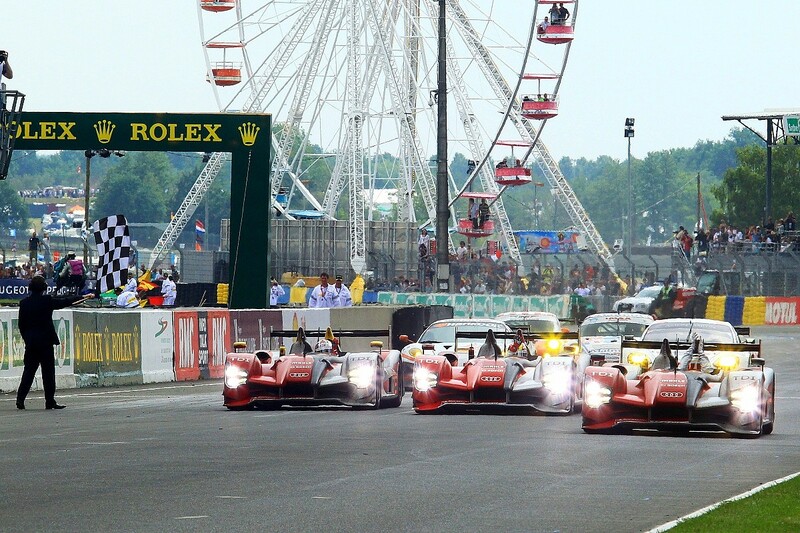 The project started in strictest secrecy in 2003 - although Baretzky didn't get the official green light to race a diesel at Le Mans until the following year, when the first diesel-powered entry for over 50 years, a Taurus Sports Lola using the production V10 turbo from a VW Touareg prepared by Caterpillar, underlined the challenge he would face by lasting only 35 laps before the over-stressed transmission gave up. 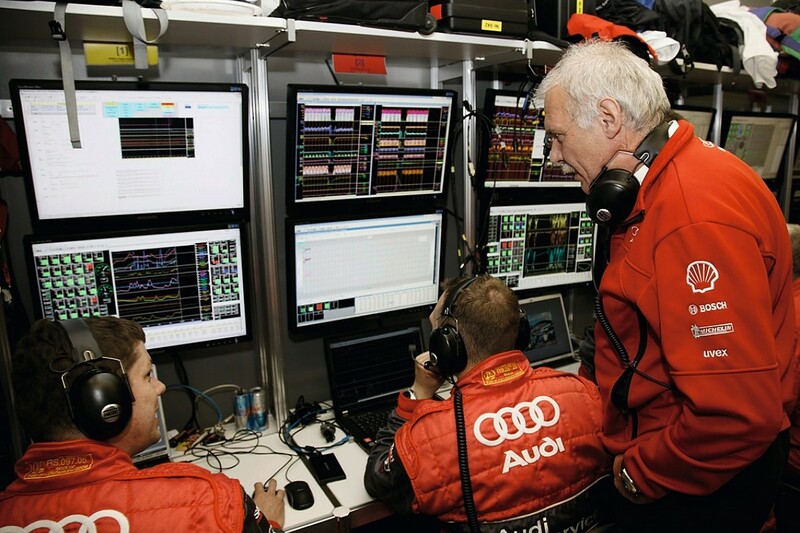 But there was a problem - nobody in the Audi Sport competition department had any experience of diesel engines. "I went to my colleagues in production and I said, 'You are diesel guys, explain to me what are the most important things I have to look after'," Baretzky recalls. "They said, 'Simple - air, the more the better'. I said, 'OK, this doesn't really help me!' But the other one is capacity, that's another story." Permitted to use up to 12 cylinders and 5.5 litres of displacement, Baretzky did just that and set about testing with a production-based diesel V8 - using a crankshaft that had a similar bore and stroke to the later V12 - to better understand the cooling, forced-induction and injection requirements for his bespoke aluminum design. The production-based engine could achieve close to 650bhp and around 660lb ft of torque on the dyno, but there was never any question of Baretzky dropping his pet project. "I had never made a 12 cylinder, I wanted to make a 12 cylinder, so I made it," he says. "It was curiosity and passion, it felt like somebody who has discovered a new island." The first roll-out of the new R10 - the replacement for the R8 that had won Le Mans every year from 2000-05 except '03, when the Bentley Speed 8 LMGTP powered by a Baretzky-developed four-litre V8 turbo finished first and second - was completed by November '05, with its whispering V12 packing 650bhp and 750lb ft. It won on its debut at Sebring the following March, despite dropping three cylinders by the finish, while its Le Mans bow brought further difficulties, as the injectors on the lead #7 car had to be changed in hour four. But the second R10 driven by Biela, Emanuele Pirro and Marco Werner ran unaffected and, using the same engine in the race as it had for practice and qualifying, swept to victory, the first of three in a row against ever-stronger opposition, which included Peugeot from 2007. After missing out in 2009 to the French marque's 908 with the new R15, powered by a lighter 5.5-litre V10, Audi's updated R15+ more than compensated for the reduction in boost pressure and air restrictor limitations placed on the diesels by the ACO for '10 and smashed the 39-year-old distance record on its way to victory, managing a still unbeaten 5410.7km (397 laps). But it's the 2011 iteration of the 24 hours, only the second competitive outing for Baretzky's 3.7-litre V6 after delays had caused the new R18 coupe to miss Sebring, that he highlights as the most emotional of his career. 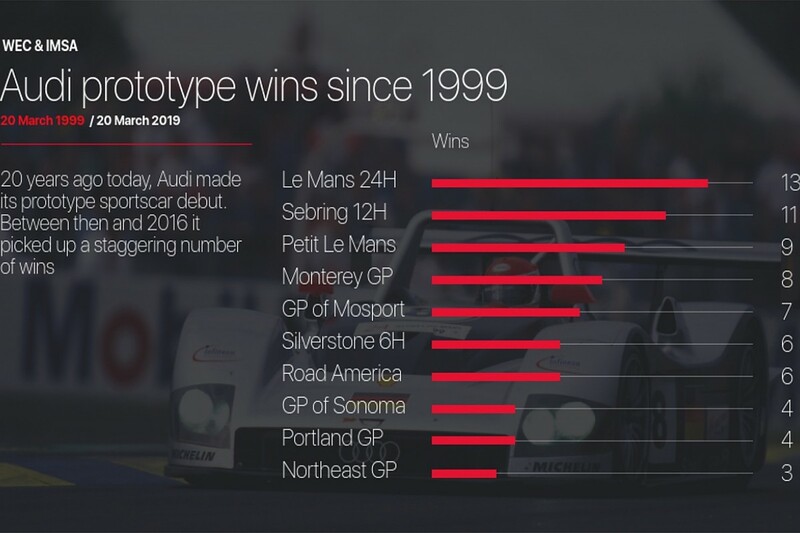 The last remaining Audi held off a bevy of Peugeots to win by just 13 seconds. It was also the last non-hybrid win for the foreseeable future, Audi's electric-aided R18 e-tron Quattro beating Toyota in '12, '13 and '14. Against ever-tighter restrictions on fuel useage, Baretzky was still finding gains until Audi's withdrawal from the World Endurance Championship in 2016, and regrets that the latest iteration of the four-litre V6 diesel - with consumption figures he brands a "huge achievement" - was never raced. Twenty years on from the debut of the prototype programme that rewrote the history books, Baretzky remains modest about his contribution. "I never wanted to become a star, I still don't want to be," he says. "If someone said, 'You're a legend', I would say, 'No, forget it, legends are dead, I'm still alive and I want to be for a longer time!' It's not down to me personally, it was my department that made it work, that made the design accurate. It's always a group that is making that." Asked for his keys to success, Baretzky highlights being humble and modest, not being afraid of big names, and making decisions based on reason and not deviating. The third part of his answer is illuminating - had he followed it to the letter, he wouldn't have had a career in motorsport. Audi, not to mention sportscar racing, would have been much the poorer for it. He's a pure racing engine guy, no question. He works in a methodical way and organises his whole department the same, so we never had to wait for engines. No matter how late everything was when the latest R18 or R15 was about to be finished, the engine was always ready. He was very talented in convincing the board members who have to give the money that he needed so much time and so many engines, so we could make sure that once his engines were put into the race cars they were already running properly. We used to joke with him saying that the engines are not powerful enough or must be overly safe because we never have engine failures. He always went mad and would tell you, 'Of course we have engine failures, but we have them on the dyno where it should happen and not on the race track'. He was never afraid to try something new, but it was always proven before he put it on the track. This feature was first published in the Autosport Engineering supplement, which appears within the magazine every other month. The latest issue contains a fresh look at the beefed-up World Rally Championship aerodynamic regulations, columns from Mark Williams and Lucas di Grassi, and an analysis of the trans-global collaboration that could revive a fallen Australian Supercars giant.